The Heartland Bighorn Fifth Wheel and Heartland Bighorn Traveler Fifth Wheel lead the way in innovation and value for the full time and extended living RVer by really listening to the needs of experienced RV customers. 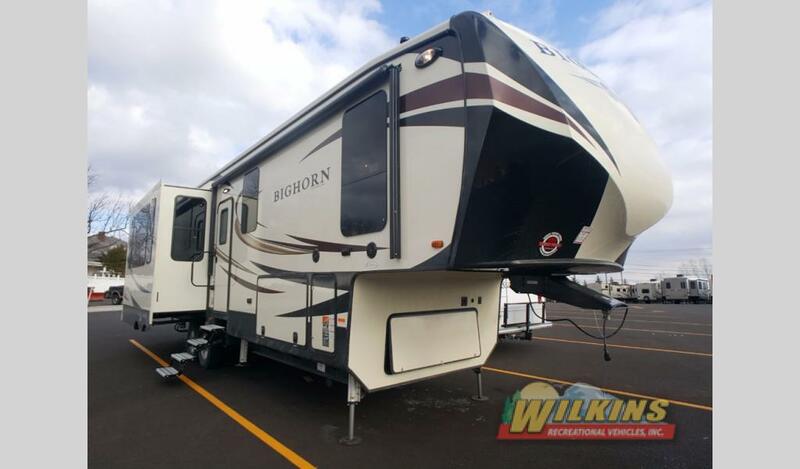 Spectacular interiors, innovative designs and an affordable price, make both the Bighorn and Bighorn Traveler an unbeatable buy for long term RV living. Let’s take a look at some of the major points both brands have to offer. 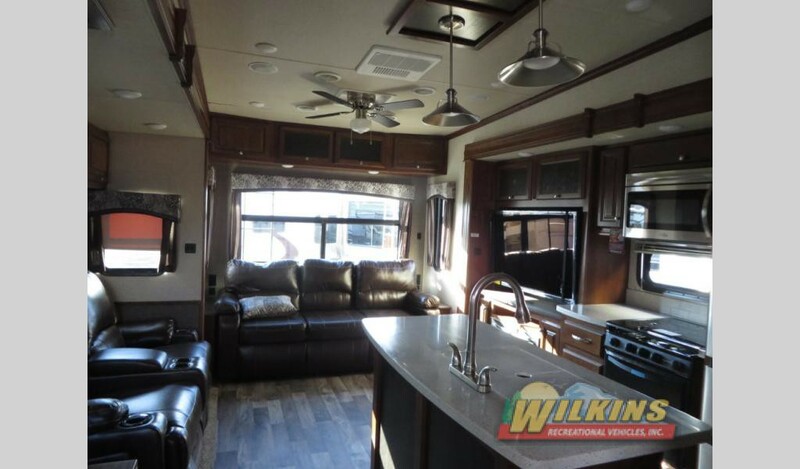 With a wide variety of floorplans from 3 to 5 slideout rooms to choose from and plenty of upscale furnishings throughout, the Heartland Bighorn fifth wheel satisfies the needs of even the most demanding full time RVer. Industry leading features such as the Universal Docking Center, 88 Degree Turning Radius front cap designs, Laminated World including laminated roofs, floors and sidewalls, drop frame Texas Size basement storage and hydraulic landing gear, sets the Heartland Bighorn apart to pave the way in fifth wheel innovation. 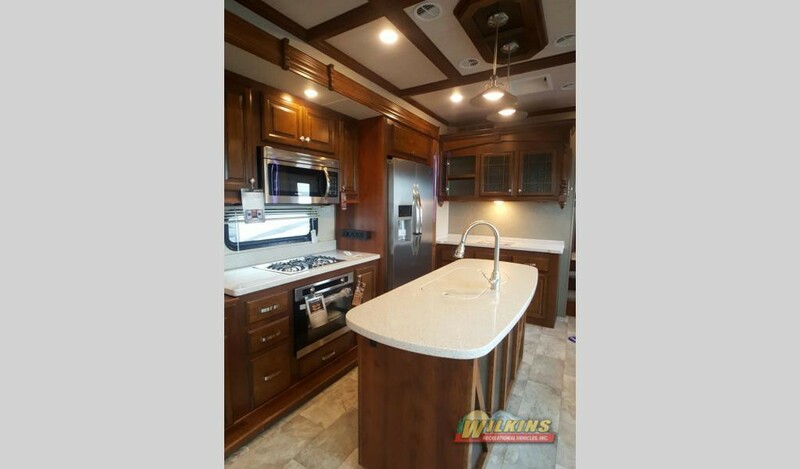 This one of a kind fifth wheel home provides true residential comforts and design that is hard to beat. From the real Amish-Crafted hardwood cabinets in the designer kitchen to the residential swivel glider recliners with power massage in the spacious living area, you are sure to fall in love at first sight. Huge panoramic windows flood the interior with plenty of natural lighting while MCD day/night roller shades easily allow you to manage privacy and light as needed. 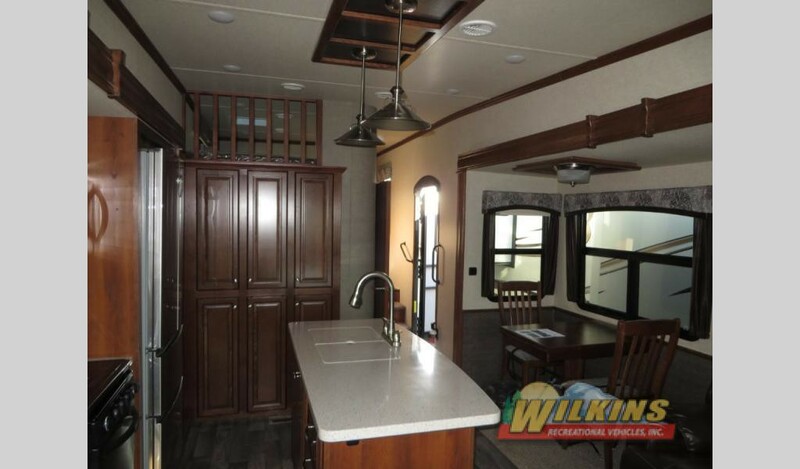 Durable construction ensures many years of upscale RV living down the road. Double-welded aircraft quality aluminum superstructure cage construction and the 12″ I-beam frame with rust prohibitive coating are just a few construction components that set this magnificent fifth wheel apart from the rest. Introducing the newest addition to Heartland RV’s full profile fifth wheel lineup. For luxurious travel accommodations on your next vacation, the Bighorn Traveler offers a number of quality upscale amenities for less. Sumptuous interior design, expansive living areas and plenty of sleeping space allows you and your guests to enjoy the RV good life at a value driven price point. Upgraded features include a 6 point hydraulic level-up system, 50″ LED TV, residential furniture with power massage, and a massive drop frame pass-through storage compartment. 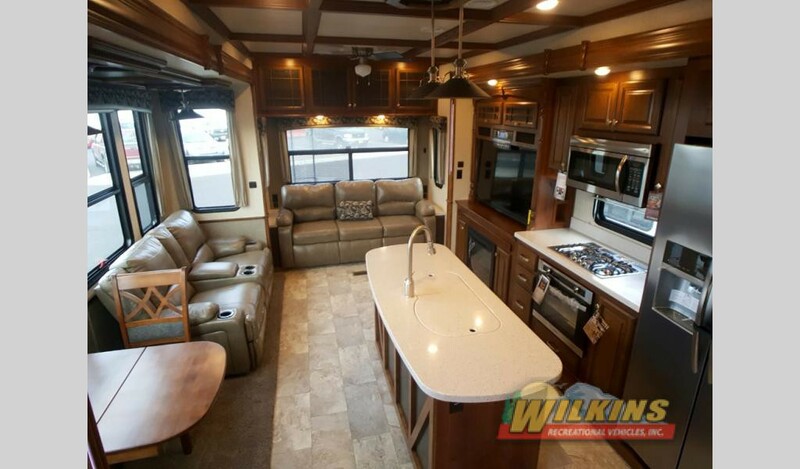 Comfortable seating options and an electric fireplace in the living area are just a few of the residential comforts this attractive fifth wheel has to offer. 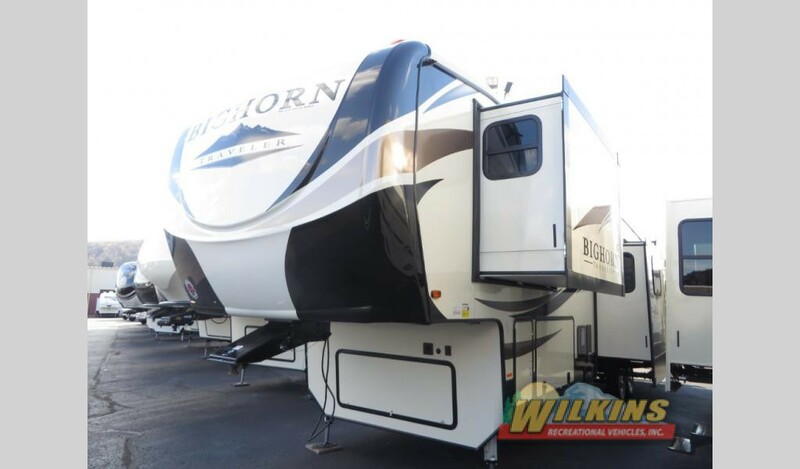 For a tour of either the Heartland Bighorn Fifth Wheel or the new Heartland Bighorn Traveler Fifth Wheel, Contact Us at Wilkin’s RV. We are your luxury fifth wheel headquarters!